Staying on that theme this year was the stuff that dreams are made of as far as guest interviews. Thanks to fan of the show Steve Joiner for reaching out and offering his services. Through him we were privileged enough to speak to Carl Gottlieb, the megastar screenwriter of JAWS and THE JERK. Production Designer extraordinaire Joe Alves also honored us with an in-depth discussion about his massively influential work including building Bruce the Shark and his contributions to CLOSE ENCOUNTERS OF THE THIRD KIND. The one and only Eddie Deezen of GREASE and WARGAMES fame also joined our roster of silverscreen icons. Thanks also go out to David J. Moore of Video Valhalla who continued his support of the show hooking us up with the legendary badass that is Fred Williamson among others. Jon and I love what we do. We love the interviews. 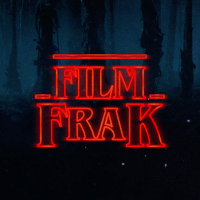 We love recording the show and getting into the weeds of why certain works connect with us or don’t but most of all we love watching films and there were screening galore. Jon managed to view 102 feature films and Adam checked off 101 and the majority of verdicts were shared on air with you dear listeners. In 2018 we were spoiled for choice as it turned out to be one of the mightiest years for cinema in a while. From mature minded prestige films to our preferred genre releases and trashy delights this year had quality in all arenas. That’s not to say the last 12 months didn’t have its share of duds but we will talk about those another time, this episode it’s all about positivity. It’s all about cinematic quality as we countdown our top 20 favourite films for the last 12 months. The movies that made an impact, that moved us, that entertained, amused, stimulated, excited, frightened, touched, moved and inspired. Now is the time for our usual disclaimer, this is a countdown of our “favourite” films of 2018, not a definitive “best” films of 2018. Before signing off Jon and I would just like to thank you all for reading/listening and supporting our passions. We look forward to reporting on our 2019 cinema adventures and hearing/reading all your feedback too. So let us know what you think in the comments below and for now enjoy listening.